Tonight's supper is fast, cheap, and easy…like my morals. S.O.S. 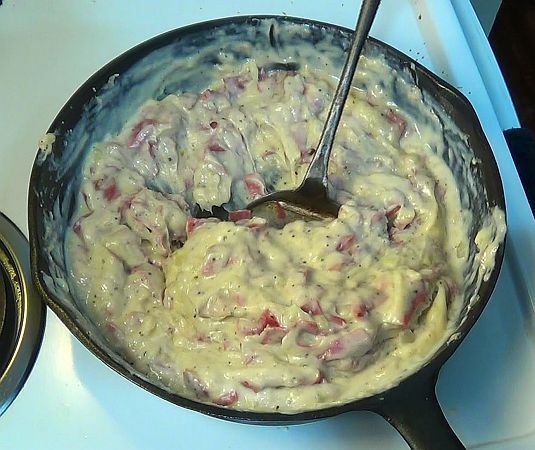 made military style in a BS&R Red Mountain #8 skillet, with sliced dried beef and onions, fried up and brought together in a roux of good old butter and flour for gravy. This was so easy, extra milk had to be added to keep the gravy from becoming too thick. Best of all, the entire dish was done in 30 minutes – including waiting 10 minutes as the pan heated up on the stovetop. Heat a 10-inch cast iron skillet on just under medium heat for ten minutes. This will bring the entire pan to the right temperature for frying the onions. Peel and chop onion. Slice dried beef into small pieces. Add 2 teaspoons grease to the hot skillet, and spread it around for the grease to heat up, melt and cover the entire surface of the pan. Add onions to the pan. Stir fry the onions for five to ten minutes until they are soft and tender. Add 4 tablespoons butter and mix everything together until the butter is melted. Add half (1/4 cup) of the flour, and stir to mix. Add the rest of the flour and stir to mix. This will produce a thick roux. Add milk to pan, and stir everything together. It will only take a few minutes before the roux begins to thicken into gravy. 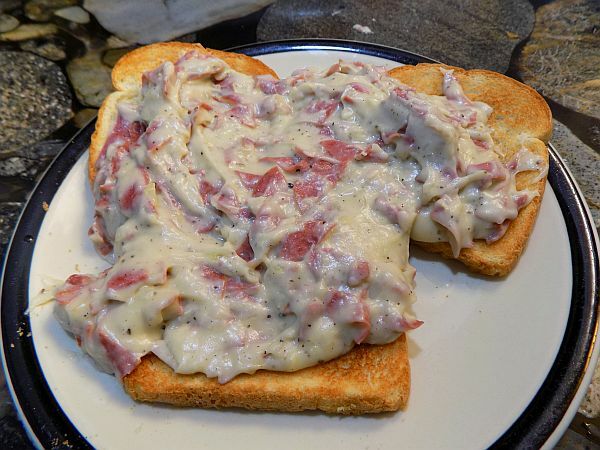 Add dried beef pieces, and mix everything together until the gravy is thick. Serve over toast or bread. This is for serving over mashed potatoes – if you are serving over toast, omit the potatoes. Place potatoes into a large pot or cast iron dutch oven. Add 2 tablespoons salt, and fill 2/3 of the way with water. Cover, bring to a boil, and boil 30 minutes. While water is boiling, Peel and chop onion. Immediately when the potatoes begin to boil, heat a 10-inch cast iron skillet on medium heat for ten minutes. This will bring the entire pan to the right temperature for frying the ground beef. When the pan is hot, add ground beef and stir fry for ten minutes, until the hamburg is thoroughly cooked. Add onions and garlic to the pan. Stir fry the onions for five to ten minutes until they are soft and tender. Add 4 tablespoons butter and mix everything together until the butter is melted. Add half (1/4 cup) of the flour, and stir to mix. Add the rest of the flour and stir to mix. This will produce a thick roux. Add milk to pan, and stir everything together. Add peas and stir. It will only take a few minutes before the roux begins to thicken into gravy, and mix everything together until the gravy is thick. Take the pan off the heat. Drain and mash potatoes. Mix in butter, milk, pepper, basil. Serve gravy over mashed potatoes. 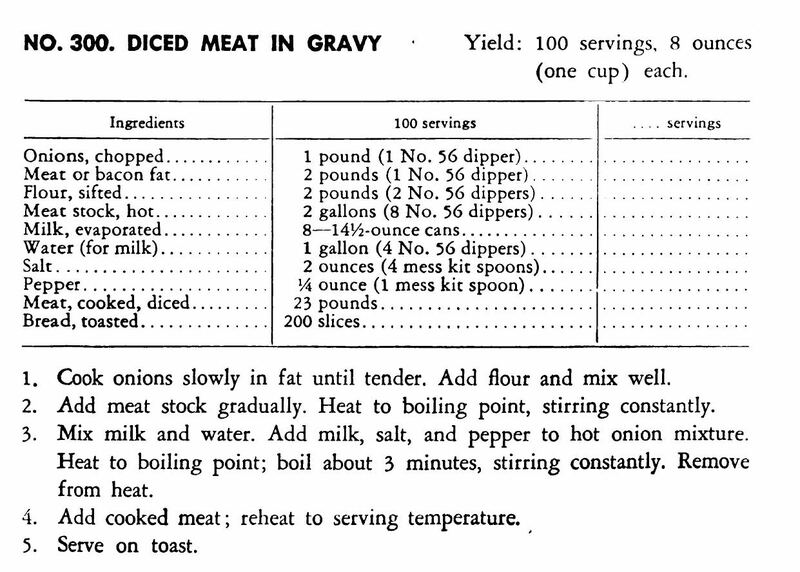 Out of curiosity, I researched and found an actual World War II recipe for "Diced Meat In Gravy," a.k.a. S.O.S. 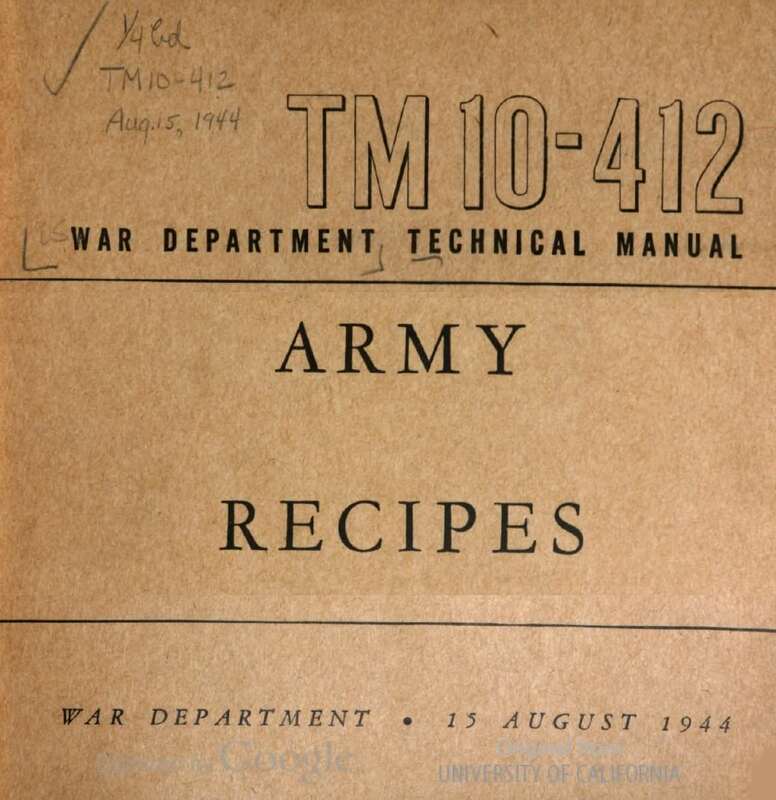 I can only wonder if the U.S. Army required the recipe to sound as disgusting as possible. 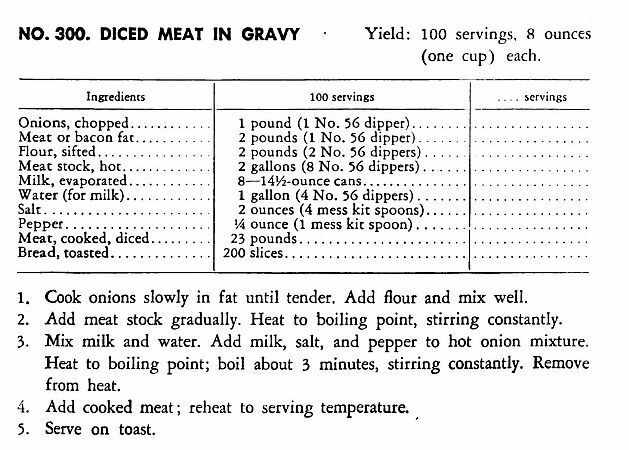 The original recipe is generic, as it only uses "meat, cooked, diced" without specifying the type of meat. Tonight's supper did make some modifications to this recipe. 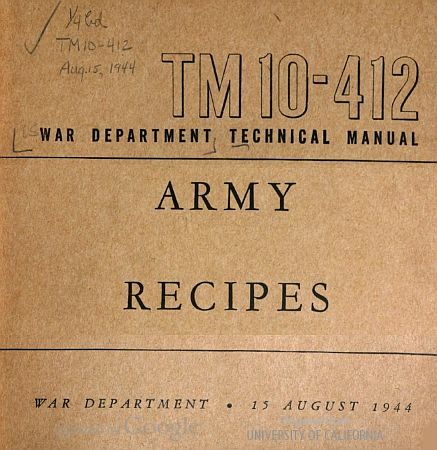 The onions were initially fried in about a teaspoon of lard, but the roux was made from 4 tablespoons (1/4 cup) butter, 1/2 cup flour, and two cups of whole milk. This certainly made it much more appealing and tasty than the ingredients seen in this recipe.